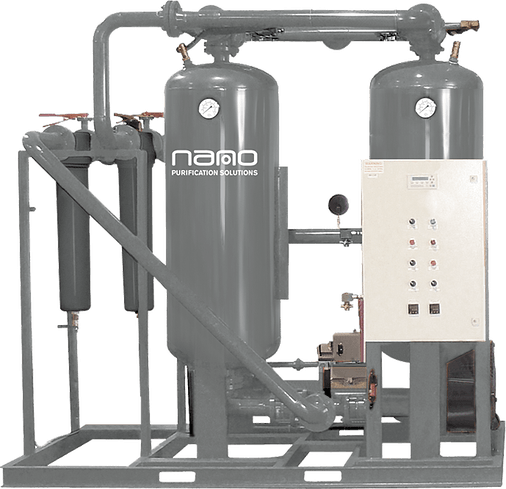 The nano D-Series 5 externally heated twin tower desiccant air dryers are designed to remove water vapor from your compressed air lowering the pressure dewpoint to -40 degrees F. No liquid water or ice crystals will form even if the temperature of the compressed air falls to 40 degrees below zero! 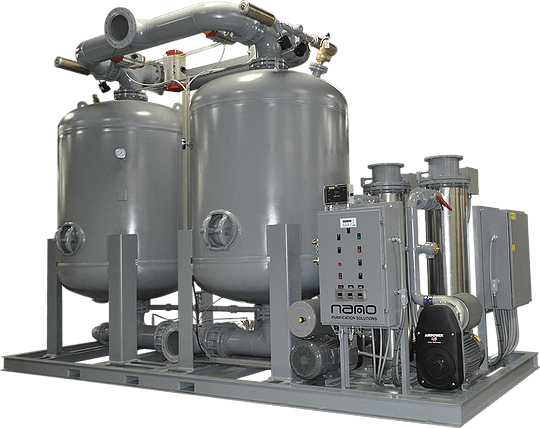 Designed for the most demanding applications, the nano D5 twin tower desiccant air dryers are your solution for continuous and uninterrupted clean dry air. The D-Series 5 externally heat reactivated dryers use heat to reduce the use of costly purge air. For consistent performance and cost effective operation these dryers are your optimum choice. Reliability is built in… and backed by our 5 year warranty on inlet and purge exhaust valves and 10 year heater warranty.